Brausse group is the world’s leading equipment manufacturer for the converting industry, with manufacturing bases in Shanghai, China and Vancouver, Canada. 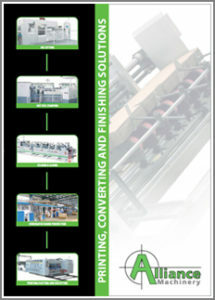 We have been supplying converting equipment to many different industries for over 30 years. in January 2012 Brausse became a proud member of the Bobst group SA. This has further enhanced our reliability and quality and increased our ability to remain competitive and further improve our already preferred status with second and third time buyers. Our factory trained technicians are at your service to maintain and repair your equipment with reduced response times and larger parts availability our aim is to keep your machinery running in perfect condition. Our commitment to our clients is to bring the best possible value in converting equipment in order to enhance your business for now and the future.